Handmade by Brad Zinker, this Gut Hook Skinner knife is exceptional. 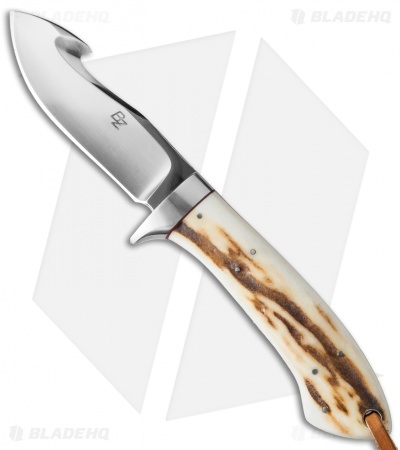 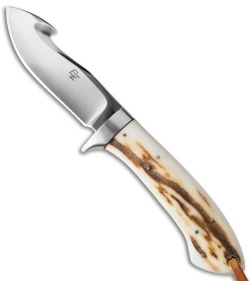 It has a tapered full-tang CPM-154 steel blade, stainless bolster guard, and genuine stag scales. Includes leather lanyard and fitted sheath for belt carry. 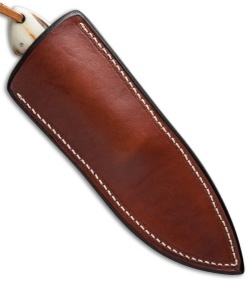 Brad Zinker is a member of the Knifemaker's Guild and the Florida Knifemaker's Association. It's always a pleasure to meet up with Brad and the knives he makes are first-class in every way!